Published: Dec. 30, 2018 at 06:58 p.m. 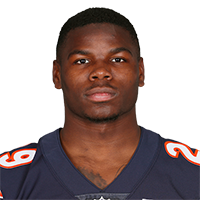 Published: Dec. 16, 2018 at 03:40 p.m.
Chicago Bears running back Tarik Cohen rushes 44 yards on a punt return. Published: Dec. 9, 2018 at 08:46 p.m.
Chicago Bears running back Tarik Cohen breaks loose for 32 yards.